Francis Howell Central high school student council hosted a Mr. FHC Show in March and raised an impressive $2,800 for Friends of Kids with Cancer. Thank you Francis Howell Central students, faculty, staff, parents and community for helping kids with cancer...be kids! 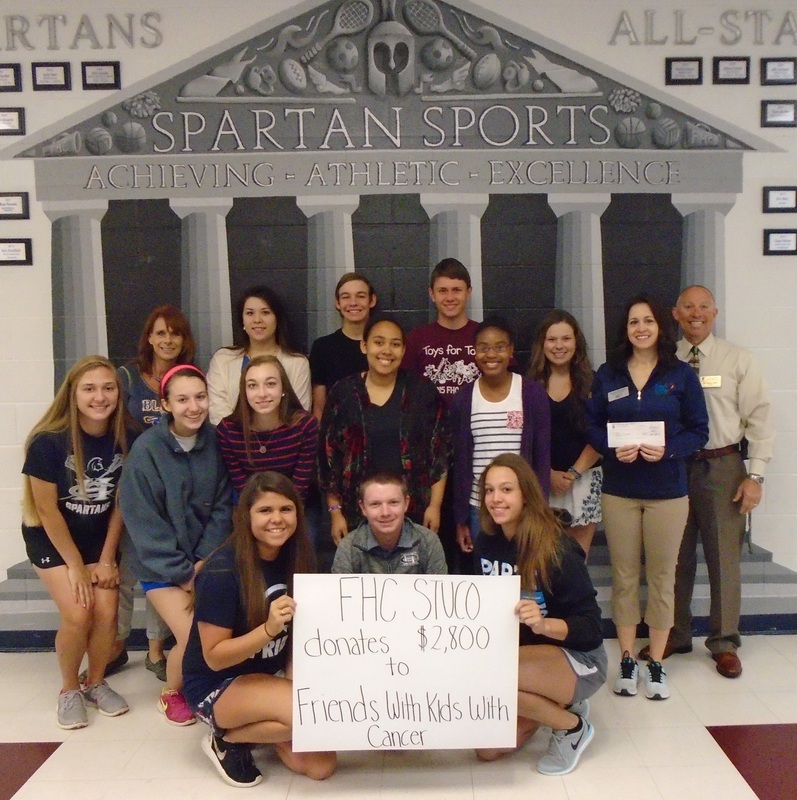 'Friends' Associate Director/Volunteer Coordinator, Brandy Bimslager, accepted the $2,800 check from FHC student council on April 21, 2016.